It’s definitely not impossible to live a happy, comfortable life with a dog in an apartment — and truth be told, it isn’t even that difficult. All you have to do is be aware of a few key best practices that will help create the best possible environment for man and man’s best friend alike. 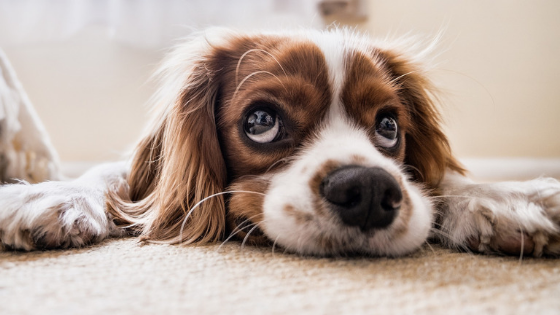 If you’re moving into a new apartment and you don’t already have a furry little friend to bring with you, you’ll want to consider the breed of the animal very carefully. Experts agree that size actually does play an important role in how active a dog will be and how often it will bark. Generally speaking, smaller dogs with higher energy probably aren’t ideal for apartment living IF you’re in a position in which you can choose. A larger dog would be more suited for the environment and would be easier to manage in terms of walks and things of that nature. If you do already have a dog and you’re worried about how they’ll fare in the apartment, you shouldn’t be. Yes, smaller dogs require more space to run around and more attention in general, but they’ll still have a great time in your new home if you approach things from the right angle. In that case, you’re going to want to establish “house rules” quickly and carefully. Try to create a dedicated space where the dog feels comfortable and they know they’re allowed to play. If there’s a particular room you want them to go in, set those boundaries as soon as you can. Likewise, just because you don’t have a big backyard doesn’t mean that Fido won’t get his exercise. Even in urban areas, you’re probably a lot closer to a park than you realize. If you already do a lot of walking for chores and errands and things of that nature, be sure to take your dog with you while you go. That will allow you to kill two birds with one stone, so to speak — you get your chores done, and your dog gets a walk. Everybody wins! If you’d like to find out more information about what you need to know to own a dog in an apartment, or if you have any additional questions about some of the incredible apartments in West Miami, Florida, that are available, please don’t delay — contact District West Gables today.